New Delhi: Setting aside their political differences for the ‘greater good of defeating Narendra Modi’ seems to be a common theme between Congress and the Aam Aadmi Party. Both parties however, have so far been unable to seal an alliance – accusing each other of creating roadblocks. 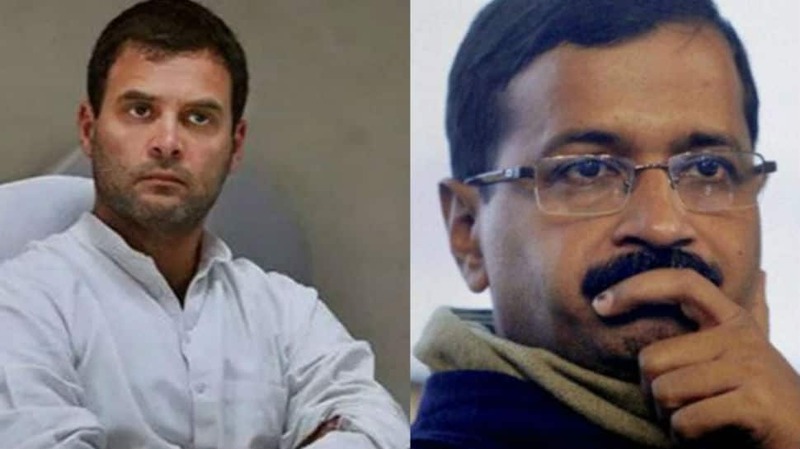 A day after AAP chief Arvind Kejriwal said that he is willing to do all that it would take to defeat PM Modi in the ongoing Lok Sabha election 20919, Rahul Gandhi tweeted saying that an alliance with AAP would mean the end of BJP. He then accused Kejriwal of taking a U-turn. “An alliance between the Congress and AAP in Delhi would mean the rout of the BJP. The Congress is willing to give up 4 Delhi seats to the AAP to ensure this. But, Mr Kejriwal has done yet another U turn! Our doors are still open, but the clock is running out,” he said. Many political analysts have regarded the talks – and the bickering – for an alliance between the two parties as an electoral tragedy that could benefit BJP. Meanwhile, several BJP leaders have highlighted how AAP and Congress are struggling to form an ‘unholy alliance’ just to challenge PM Modi. They say even that one agenda of both parties is not good enough for the two to let go off their political egos.